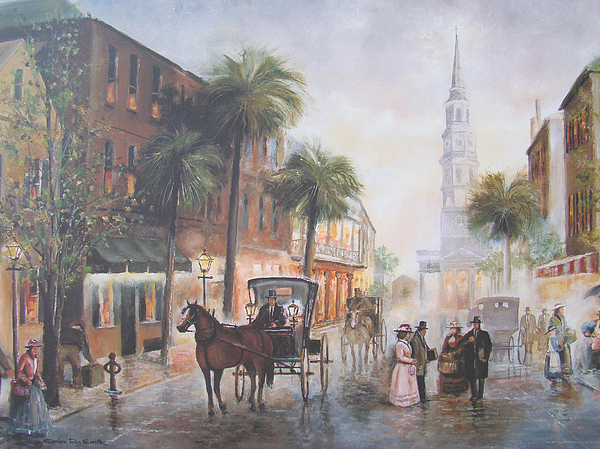 This beautiful street scene is of old Church Street in Charleston, South Carolina in the 1800s. St. Phillip's Episcopal Church can be seen in the background. 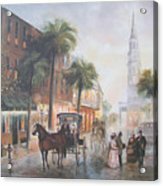 St. Philip's Episcopal Church, a National Historic Landmark, houses the oldest congregation in South Carolina and was the first Anglican church established south of Virginia. This was one of Smith's most popular paintings. Charles Roy painted hundreds of pictures of scenes throughout the Carolina's, Virginia and Tennessee.